The man who has led the Seahawks to seven straight winning seasons is staying in Seattle for a few more years. Russell Wilson and the Seahawks agreed to terms on a four-year, $140 million extension late Monday night just before the quarterback’s self-imposed negotiating deadline. It makes Wilson the highest-paid player in NFL history at $35 million per year, locking him up through 2023. We will see. I would not be surprised to see Bortles get an extension before Goff. Don't get me wrong. I'm a Goff fan. Just not in the 20-30 million price range. Not yet. This year will be huge, to see if he takes it to the next level or not. I like Goff, glad we have him, glad we made the trade for him. .I think he is a good qb for the Rams to have. So, this is not a negative post or diss at him. However, where he is now is a perfect situation for him and McVay the perfect coach. Otherwise, I just don't know that he could take his skills and be successful anywhere like a Russell Wilson could. He would be a huge question mark........ I think every gm in the league kind of feels this way too. Unless and until that changes, I think it lowers his price a bit. I'm going to get killed for saying this but Russell Wilson is a better qb who has done an amazing job keeping the hawks competitive in their transition from Lynch and the LOB. Wilson should get this contract because he is an elite player, if Goff wants a similar contract he has to show more. You’re just laying out the objective truth. I like Goff too. Glad we have him. But until he shows less need for "handholding", he will be less of a value to other teams...and our team for that matter. But he does have elite skills. Hope his mental game gets there. "60% OF THE TIME........IT WORKS EVERY TIME"
Maybe I’m missing something. No one was more disappointed Goff fell short in the SB (maybe Goff but he got paid). Still, he’s made about 27m 18 in his rookie season and Mr. Wilson was signed, got a 100m contract and now a 140m contract and is 1-1 in SBs and hasn’t sniffed a SB in 6 yrs. No comparison. Goff has been a bargain. I do think your missing something.... Nobody is saying Goff isn't a good value while he is on his rookie contract. But if you go there- Wilson was drafted in the third round and Seattle gave up nothing to draft him. Then he was the lowest paid starting qb in the NFL for awhile. So, if you are going to compare their relative values on their rookie deals- Wilson wins. Like Brady, he was an absolute steal. Goff has been a net positive too but the Rams made a huge investment in him, gave up a ton to get him. Back to the main point, though. I look at Seattle and Wilson is Seattle. He leaves and that team is no longer a contender. He is their unquestioned leader. They all look to him to make something happen in the 4th qtr of a close game. It's as simple as that. 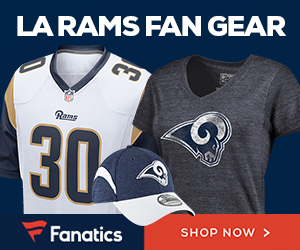 Is that true for Goff and the Rams? I don't know but I don't think so. Not yet at least. Goff is a mid level NFL starter. He went to the super bowl because he had a great team and s great coach. If they allot top quarterback money to Goff, the team will be bad for a king time cause he can’t make up the difference. ThrcRams have been good for two years cause I’d Goff’s rookie Cobtract. His performance in the super bowl exposed him for what he is. A system Qb who diesn’t Think on his feet and doesn’t leads. Stan is gonna have to put a stud behind center if he wants to sell licenses in Inglewood, and he knows it. I agree with everything except the stud QB part.if they continue last year's success, he will sell licenses. As for the QB? I personally believe, under Mcvays teaching, Blake Bortles would have similar, if not more success than Goff. If you remember, 2-3 years ago, when Bortles had two studs at wr, they we're catching deep balls every game. He lost those guys, and their offensive game plan sucked.